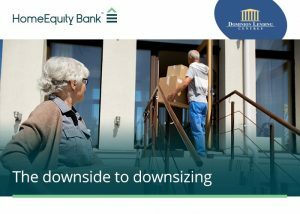 On the surface, downsizing can seem like a logical financial move. 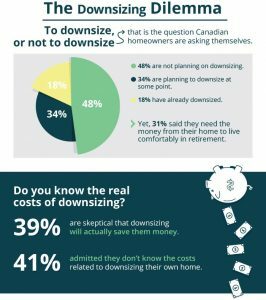 However, when we asked Canadian homeowners aged 55 and older what their thoughts on downsizing are, we learned that while many are faced with the downsizing dilemma they are considering other options. Below we outline some of our key findings from the survey we commissioned from Ipsos. 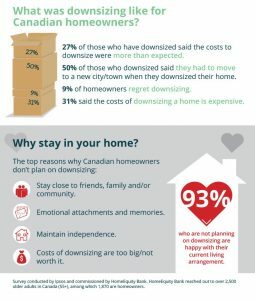 In short, downsizing does not guarantee financial freedom. Largely why this dilemma exists is because Canadians aged 55 and older are not aware of all of the financial products available to them – most notably, the CHIP Reverse Mortgage.